In an effort to curb motor vehicle deaths and injuries, the California Highway Patrol on Tuesday launched an enforcement and public education campaign targeting speeding and aggressive driving. According to the CHP’s Statewide Integrated Traffic Records System (SWITRS), approximately one third of all fatal and injury collisions in California are a direct result of unsafe speed. With the support of a federal traffic safety grant, “Reduce Aggressive Driving Incidents and Tactically Enforce Speed (RADIATES) II,” the CHP is determined to educate motorists about the dangers of aggressive driving and take appropriate enforcement action. “Through this grant-funded education and enforcement campaign, the CHP will target motorists who speed and display aggressive behavior behind the wheel to help prevent dangerous driving and deadly collisions,” said CHP Commissioner Joe Farrow. Preliminary SWITRS data for 2011 shows more than 48,600 total collisions attributed to unsafe speed. Improper turning led to more than 22,100 collisions, while driving on the wrong side of the road resulted in more than 5,700 crashes. These aggressive driving behaviors contributed to the more than 1,100 people killed and an additional 106,494 others injured. The primary goal of this grant is to reduce by 5 percent the number of fatal and injury traffic collisions where speed, improper turning, and driving on the wrong side of the road are primary collision factors. To achieve this goal the CHP will combine an active public awareness campaign with enhanced enforcement. 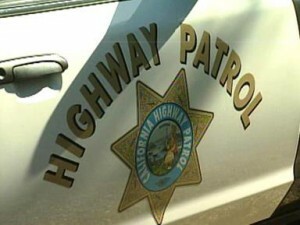 6 comments for "New CHP grant to target speeding, aggressive driving"
Seriously? Is it any wonder why people drive like out of control jerks? Watch just about any new car commercial and that is the message conveyed. So why isn’t someone complaining about that and getting a handle on the stupid commercials? As a daily commuter between Littlerock and Lancaster I am glad to hear this. Littlerock is a 45 MPH zone, I am not aware of anywhere inside city limits where it is posted faster than 45 MPH, yet I often see people going well above this, even on side streets. The drive on AVE N between 90th East and 50th East is often dangerous from people illegally passing in the double yellow zone, and I am doing the limit or right above which is 60 MPH. Ave M is a raceway, it is not unusual to see drivers exceeding 70 MPH between 50th East and Sierra Hwy. All of this while dodging people on cell phones that slow down, speed up, cross their lane lines then over correct, and just flat out do not know what various road signs mean. Then yesterday I watch a person on Ave L and 30th West make a U Turn while their light is red and we had right of way. My dash cam gives me a fair amount of footage for my blog. I need to get one for the rear view as I often see things happen behind me as well. Fat wallets full of overtime pay what a happy holiday its going to be for a select few. Translation, No education just revenue for the state.